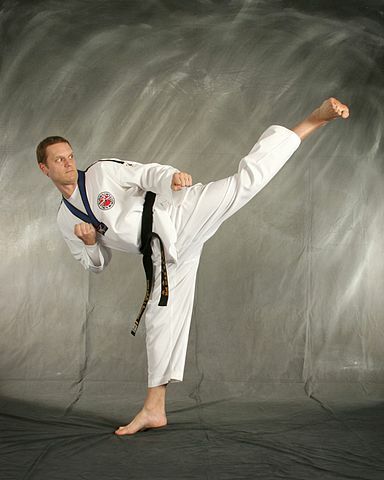 The Korean terms hyeong, pumsae and teul (meaning “form” or “pattern”) are all used to refer to Taekwondo forms. Hyeong is often romanized as hyung; pumsae is often romanized as poomsae or poomse; and teul is often romanized as tul. There are many different Taekwondo organizations, and there are many differences in the forms used in these organizations. Some schools may use a mixture of two or more sets of forms, whereas other schools strictly adhere to just one set of forms. In addition, sometimes a school will incorporate some forms that have been developed by the masters of their school into their training while still adhering to the original set of forms. The pattern names below are shown with Revised Romanization spellings; however, the traditional spellings are shown in parentheses if they vary from the modern standard, since those patterns have long been known with those spellings. Comprising the current official forms of the KTA, the Kukkiwon and the WTF, the taegeuk Pumsae is an authorized and approved system of 8 forms in a series which replaced the Palgwe forms. Under this system, each form is known as a “Jang,” which are numbered from 1st form (Il jang) to 8th form (pal jang).